Replace. 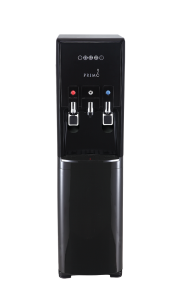 Consumers in high altitude areas over 6,000 feet in elevation should immediately stop using the recalled dispensers and contact Primo for a free replacement. Primo has received three reports of hot water leaking from the product being used in high altitude areas, including one burn injury to a customer’s hand. Sam’s Club and online at Amazon.com, and Wayfair.com from January 2017 through December 2017 for between $200 and $250. Primo Water Operations Inc. of Winston-Salem, N.C.
Q: Why is Primo conducting this program? A: We are conducting this program to keep our consumers safe. Q: What is the problem with my dispenser? A: When the beverage dispenser is used in locations with elevations that exceed approximately 6,000 feet, the atmospheric pressure can cause hot water to leak from or around the hot water tap. Q: How can I tell if my beverage dispenser is affected? 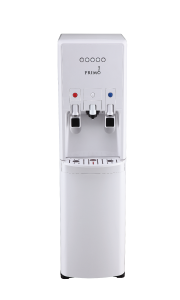 A: The affected beverage dispensers are “hTrio” multi-purpose beverage dispensers (Model Numbers 601225, 601229, and 601240). The model number can be located on the back of the beverage dispenser. If you received the beverage dispenser with a manufacture date prior to 01 18 (January 2018) as shown on the rear label, then your beverage dispenser is included in the replacement program. 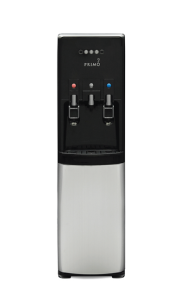 However, any unit purchased from Primowater.com after January 1st, 2018, regardless of serial number, is unaffected. Q: My beverage dispenser appears to be okay. Can I continue to use it? A: You should not continue to use your beverage dispenser if you are operating it in an elevation above 6,000 feet. Q: How do I participate in the replacement program? A: Call out toll-free number 1-866-429-7566 or register online by filling in the form at the bottom of this page. We will send you a box and prepaid return label for the beverage dispenser. Once we have your beverage dispenser, we will arrange to replace it. Q: I no longer have the receipt for the beverage dispenser. Can I still participate in the program? A: Yes. We will provide a replacement without a purchase receipt. Q: Will I receive a refund for the beverage dispenser? A: We will provide a free replacement. Q: How long will it take to receive the replacement? A: Please allow 3-4 weeks from the date you contacted us. We apologize for any inconvenience this might cause, and we assure you that we are working as quickly as possible to replace your beverage dispenser. Q: Will I be able to repair my dispenser myself? A: No. Please do not attempt to repair the beverage dispenser yourself. Please return it to us immediately for a free replacement.